The Itsy Bitsy Spider Crochet: New Look & Updates to Free Patterns! 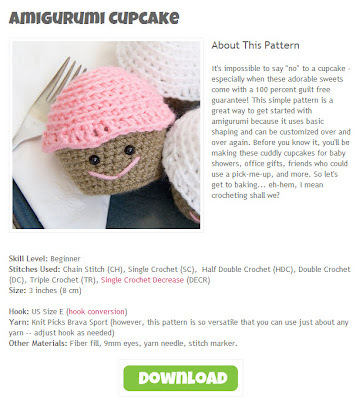 New Look & Updates to Free Patterns! The Itsy Bitsy Spider has been needing a facelift for a while and the blah winter here in Cleveland has inspired me! But the real exciting part is what I'm working on with the patterns. I want ot make it easier for you to get to my patterns right from this site, so I'm rolling up my sleeves, organizing and linking and VIOLA! I started with the free patterns. Once you get to the free pattern page, you can pick and choose from the thumbnails and then go on to read about the pattern itself -- everything from yarn/hook requirements to the stitches you need to know in order to make it. Love what you see? Click "Download" and grab your hook! My next goal is to start tackling the "for sale" patterns. So, happy crocheting and see you soon!